The Las Vegas Strip is an approximately 4.2-mile (6.8 km) stretch of Las Vegas Boulevard South in Clark County, Nevada. The Strip is not located within the City of Las Vegas but it passes through the unincorporated towns of Paradise and Winchester, which are south of the Las Vegas city limits. Most of the Strip has been designated an All-American Road. Many of the largest hotel, casino and resort properties in the world are located on the Las Vegas Strip. Fifteen of the world's 25 largest hotels by room count are on the Strip, with a total of over 62,000 rooms. Until recently, people who wanted luxury high-rise living in Las Vegas had very few options. With the addition of several new high rise and loft developments, that has changed. Now, there are several ultra-luxury high rise condominiums to choose from with many more high rise condos planned in the near future, both on and off of the Las Vegas strip. 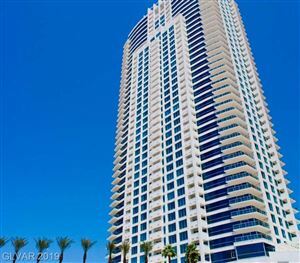 ACCESS ALL HIGH-RISE CONDOS -LAS VEGAS STRIP- HERE! Las Vegas luxury real estate is buzzing with news of Las Vegas High Rise condos from the Cosmopolitan Resort to Sky Las Vegas, from Panorama Towers to the amazing Signature Condos Las Vegas, are creating great opportunities for investment... Whether you're looking for an estate, an executive home, a luxury condo, a retirement villa, a historic home, a downtown loft, or anything else in the greater Las Vegas area we came to the right place. Have a Condo to Sell ?